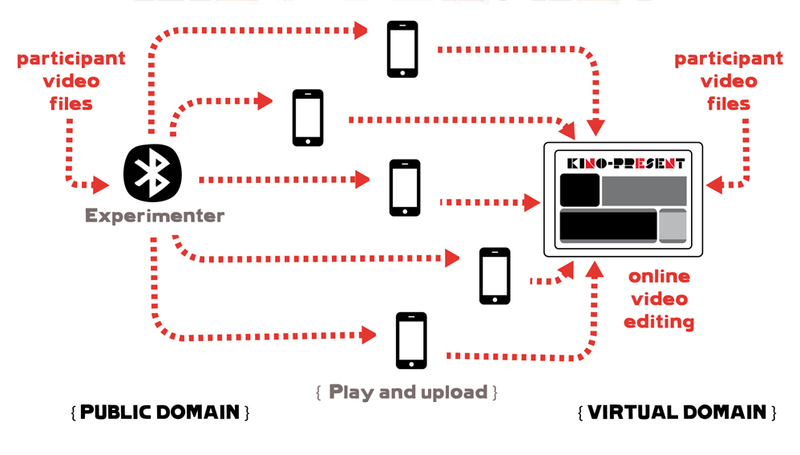 Kino-Present is a Quantum Filmmaking project inviting everyone, anywhere and anytime to the co-creation of video-collages, by using domestic web based, wireless and mobile technologies. Send us your 15 second video-clips and we will broadcast them via Bluetooth in the public domain. You can also upload them directly onto the website in 3gp-H.264 format. Then, edit your films online. This is a non-profit research art project based at Central Saint Martins, University of the Arts London.